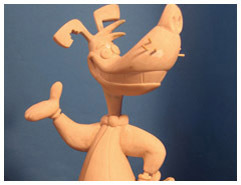 A Maquettes page has been added with photo galleries of character sculptures used in scans for CG animation/motion capture and miscellaneous models. Also, several new images have been added to the Gumby gallery of pics! 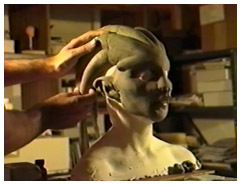 An old VHS tape of the Alien "Sami" sculpture was recently found in the archives. Click on the image to visit the video page. Has it been a year since we've updated? Really? 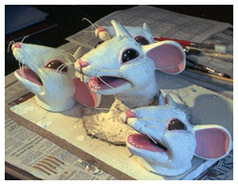 Time flies...well, we finally have our Stage Props & Puppet page put together.Click the image to visit the galleries. 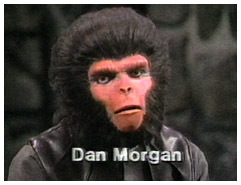 Recently unearthed - a 1982 video of Dan and Tom an a popular late-night local TV show "Creature Features". 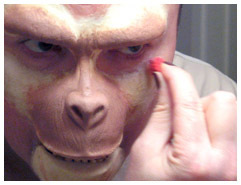 It's a fun peek at the early days of their foray into the Planet of the Apes makeup. Watch it now on the VIDEO page! "The Making of Cornelius - A Tribute to John Chambers" video from Tom Rubalcava & Dan Morgan is in the works! The team is editing this inside look at re-creating the character using the same techniques that the legendary creator of the Apes makeup effects used 40 years ago! Meanwhile, click on the image to view the newest photo gallery. 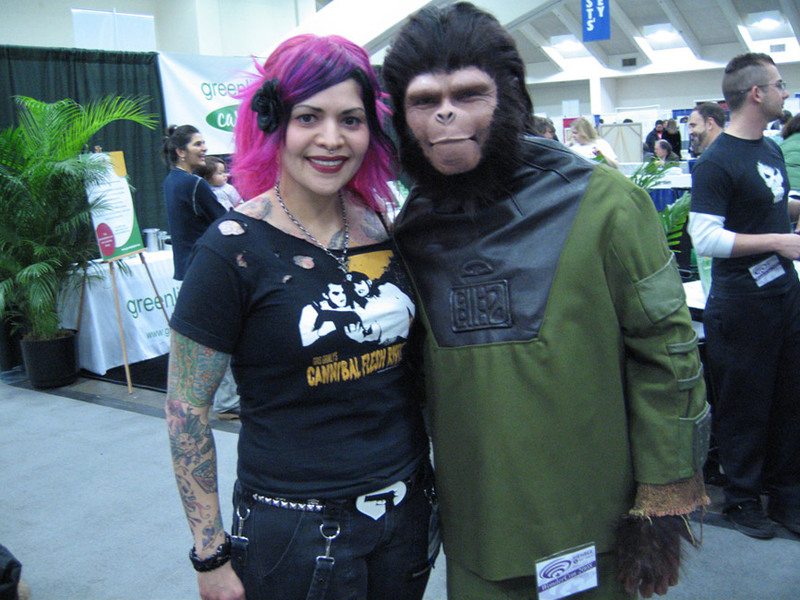 Dan Morgan was on his game at WonderCon 2008 in San Francisco as the Archaeologist, Dr. Cornelius of the Planet of the Apes. 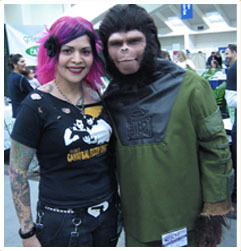 The folks at the con were gracious as they took photo op after photo op with the friendly simian. These appliances were made from a sculpture that Tom Rubalcava made and the costume was made by Paula Crist for Bill Blake back in the 1970s. ©2008 - 2012 Dan Morgan & Tom Rubalcava - All images are copyrighted - No unauthorized reproductions permitted.